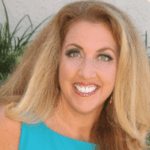 Debbie Lynn Grace is an author, a speaker, an energy worker and an intuitive. She has a deep understanding of highly sensitive people. Over the last thirty years, Debbie has impacted the lives of hundreds of thousands of followers through her programs and live events. Debbie shows highly sensitive people and empaths world-wide, how to dissolve the energy blocks that can prevent you from leading the life that you really truly want; that life of purpose, authenticity, love, prosperity. Well, I think the greatest thing about mindfulness is that you allow. I think when people get super emotional, they start to lose sense that they have any choice. You know, they get so out of whack and so out of balance that their mind, that internal pressure, tells them you're a loser. Mindfulness has helped me so much, it goes back to something I say to everybody, which is, if you want to change your mind, you do it physically first because when you change your state physically first, your whole mental state changes. So mindfulness of getting present to your body and then using that breathing and being mindful of that, it changes your emotional state immediately. I meditate every day with breathing, listening to music in the morning and so I'm very aware of it. I'm also aware of how I react to something and I try and be very mindful of the minute I sense any level of frustration, I immediately get present. I don't get present to the frustration, I get present to my breath and it just releases all that frustration out of my body. That's kind of the story of my life. I mean I was bullied a lot and teased a lot growing up. And you know, I didn't understand of course there really wasn't a lot of research or science understanding what it means to have heightened sensitivities and now the statistics show that one out of every five people is highly sensitive, born with heightened sensitivities. So it's fairly common but the research is only about 20 years old and I'm definitely older than 20. So growing up what would happen is I would sense things around me and I would sense as a little kid, people that didn't feel safe but I couldn't understand why. Like they might be friends of the family and they might be nice to me, right. But I could sense there was something not good and I did and it would upset me and I'd get emotional. And so I grew up hearing Debbie, you know, you're too emotional. I didn't know how to articulate what was going on for me. And the biggest challenge I see with including myself, but I didn't know, which is why I feel really honored to help people that are highly sensitive is that when you grow up, when you have heightened sensitivities, your senses are always on a 10, like on a switch from one to 10. They're always out there sensing things. So some people, they have heightened sensitivity to noise, some to taste, to touch, some to sight. So everybody's sensitivities are a little bit different, are wired differently. But what will happen is you start to want to drown everything out. You want to keep everything out because it hurts your body and it hurts you emotionally. So you lose your own sense of yourself. And so when you're teased and bullied, if you have no sense of yourself, it literally batters your self confidence. So many of the people that come to take my programs, they are so intelligent and they might even have created success in one area of their life. But on the inside they're devastated. On the inside their self esteem is so low so it'll show up in their relationships or it'll show up in their money situation. 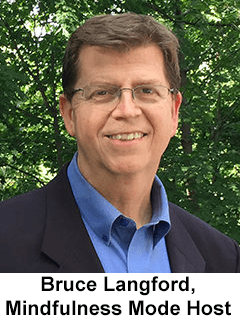 So how would mindfulness have helped? Well, just the tools of understanding what it means because when you're being mindful and getting present, you're getting present to yourself. You're getting aware of your own space. You're getting access to your internal power because without being mindful, you can't access your own internal power. You're getting access to your intuition and your knowing with clarity it's truth. So if I could teach that to a kid who's highly sensitive and give them a greater sense of themselves, you know, first of all, bullies only pick up on kids that they know have low self confidence, right? They don't bully kids that they sense are confident. So that would have made a difference right there. Do you want to improve the focus, drive, and productivity of your employees? 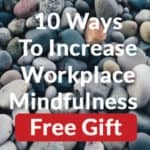 If so, you can learn how by downloading, '10 Simple & Effective Ways to Increase Mindfulness in the Workplace Now', a free PDF at MindfulnessMode.com/workplacep.